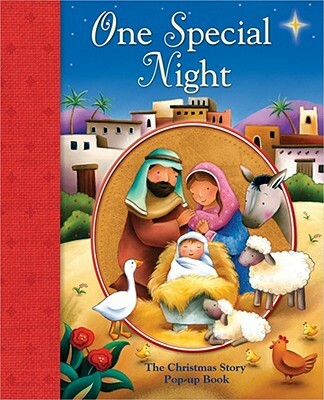 This one-of-a-kind Christmas book for children combines a child-friendly retelling of Jesus' birth with beautiful artwork and pop-up dioramas to engage young children every time it's read. Lori C. Froeb lives and works in Westchester County, New York. As a children's book editor, Lori has had the opportunity to write many books for kids--which she finds both challenging and rewarding. Lori tries to carry the message of the first Christmas with her every day.Claudine Gevry lives in Montreal and holds a degree in graphic design form the University of Quebec. After school, she spent time designing openings for television shows. She decided after a few years to reutrn to her first love, illustration.